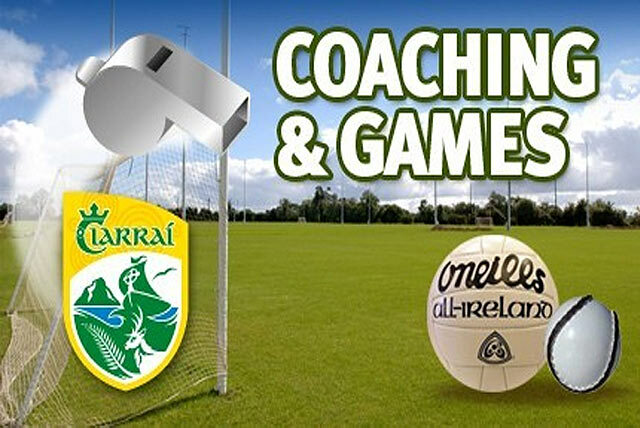 A Coaching Workshop aimed at U14, U16 and Minor - Club and School Coaches - will take place on Wednesday 21st February at 8pm in Moyderwell Primary School Hall, Boherbee, Tralee. This will be a practical session on Games Based Coaching and Conditioned Games delivered by Kerry U16 Coaches James Costello and Pa McCarthy. The session will demonstrate a series of Conditioned Games that will focus on improving all aspects of player and team performance. The entrance to the Hall is across the road from O Mahony's Bakery in Boherbee Tralee. Cost of the workshop is 5 euros per coach.